Winner of the 2003 Main Street Rag Chapbook contest, Karla Huston (www.karlahuston.com) earned an MA in English/Creative Writing from the University of Wisconsin-Oshkosh. 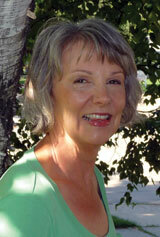 She is the author of six chapbooks of poems, most recently An Inventory of Lost Things (Centennial Press, 2009). Winner of a Pushcart Prize in 2011, she has published poetry, reviews and interviews in many journals including North American Review, Pearl, Poet Lore, Rattle, Smartish Pace (online),Verse Wisconsin and others. Huston currently serves on the board of directors for the Council for Wisconsin Writers. 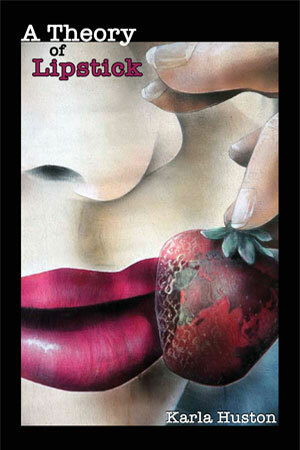 A new chapbook of poems is forthcoming in late 2013 from Dancing Girl Press. Karla Huston’s poetry is both brainy and sensuous, and the whole is underwritten by a musical ear attuned to the American idiom at its jazziest. From the title poem, which is a tour de force of naming, to the linguistic highwire act she performs in “O Hair,” Huston writes the way her mother wore lipstick–“red was her color…and she was taking all of it with her”–this poetry is bright red, and the poet has firmly in her sights nothing less than everything. A Theory of Lipstick embodies the tension and play between ideas and pop culture that the poems in this large-spirited and kinetic collection enact. The terrific opening poem, “An Inventory of Lost Things,” with its focus on loss and its movement between different areas of culture (“Lot’s Wife…”Gina Lollobrigida”), serves as an overture of what’s to come: memorable imagery, idiomatic and sonic pleasures galore, a gendered I/eye that states, explores, lists, and narrates female experience, desire, artifacts, loss, and celebrations. Huston’s poems are generous with the pleasures of poetry. author of Milwaukee Does Strange Things to People? The most wonderful thing about Karla Huston’s poetry is accessibility. The reader doesn’t have to be a poet, an academic or an intellectual to be able to appreciate it. All you need to do is pluck the book from the shelf, open it, and revel in your own experiences sung in a new and lovely way. Huston’s poetry expresses the sheer elegance of the ordinary as it captures small moments, from lake flies to a girl with Jesus glitter-written on her jeans to songs stuck maddeningly inside our heads. The small becomes magnificent in Huston’s capable hands, making this collection at once accessible and unforgettable. Anyone can read this book. And everyone should. Be the first to review “A Theory of Lipstick” Click here to cancel reply.